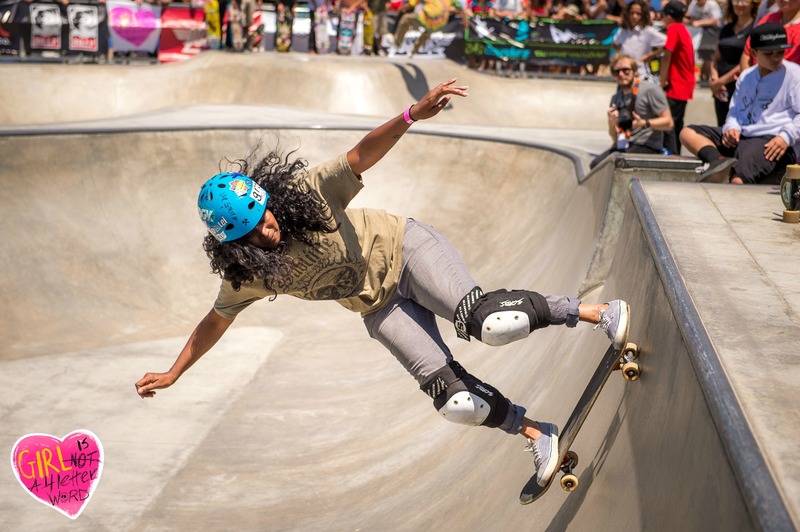 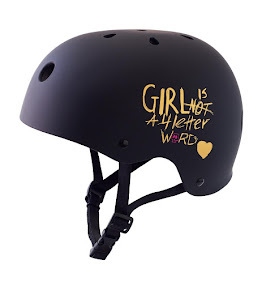 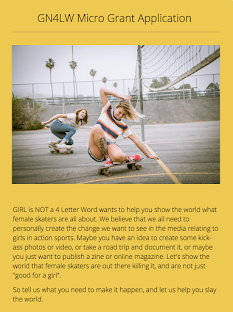 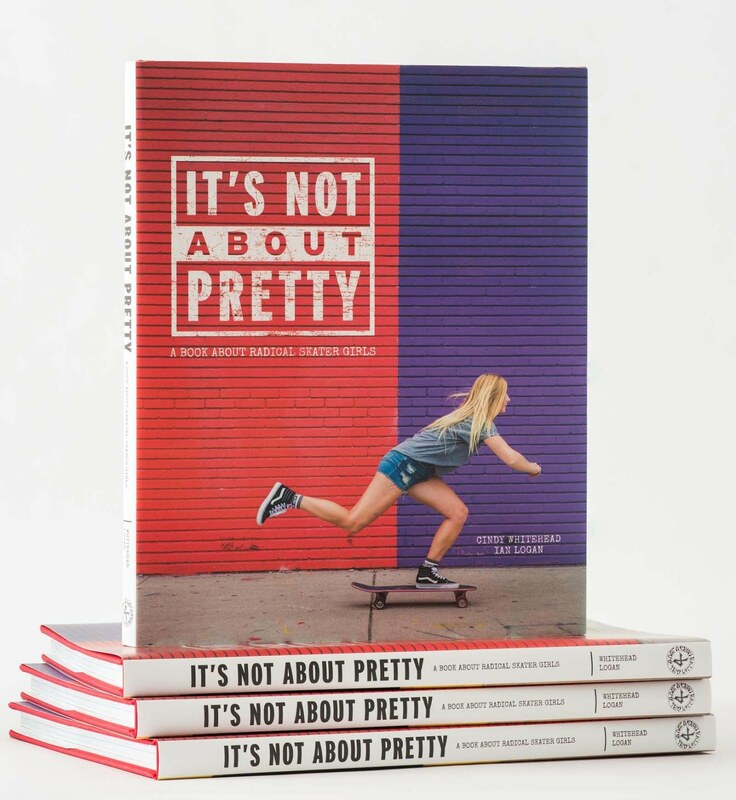 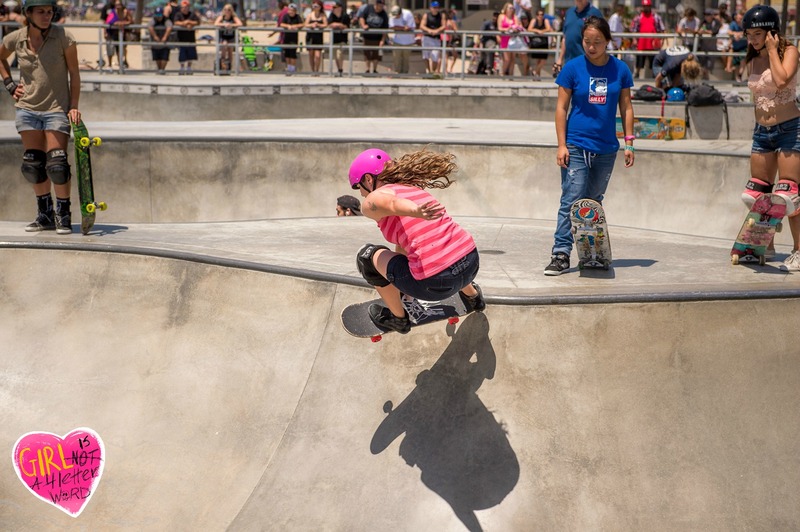 Girl is NOT a 4 Letter Word: Go Skateboarding Day - Women's Bowl Demo - Venice Skatepark. 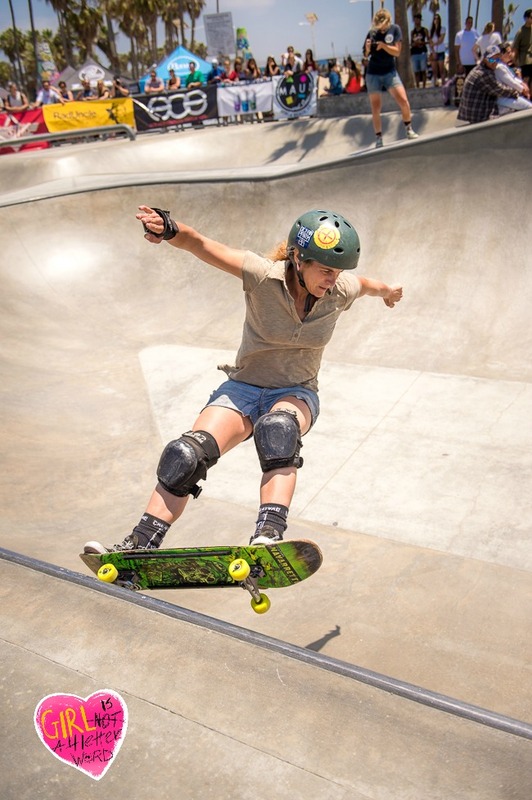 Go Skateboarding Day - Women's Bowl Demo - Venice Skatepark. 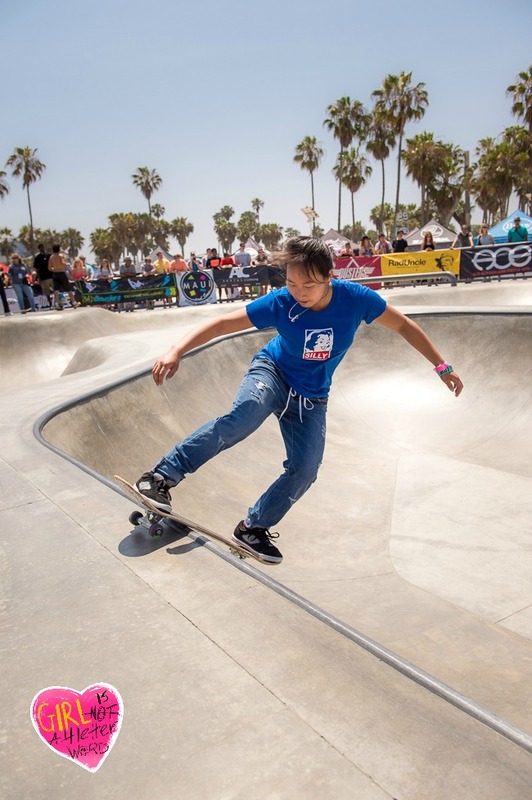 Venice Skatepark was the place to be on Go Skateboarding Day for both skaters and spectators. 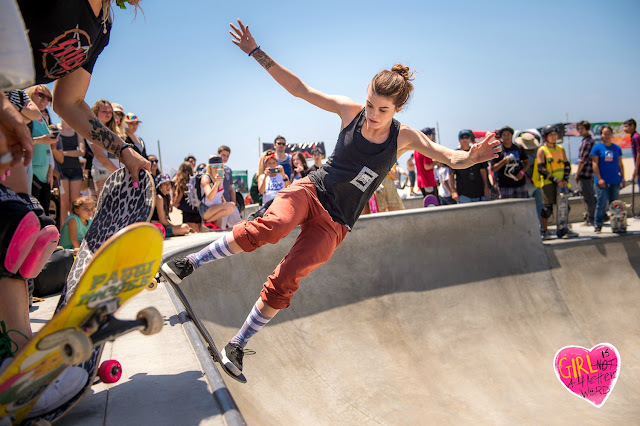 The day started off with a street contest in the morning and in the afternoon the Ladies ONLY Bowl Jam began. 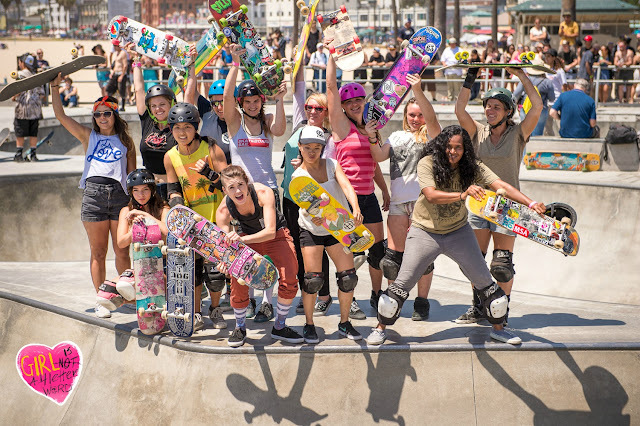 Girls from all over and all levels came out to skate, have fun, and cheer each other on. 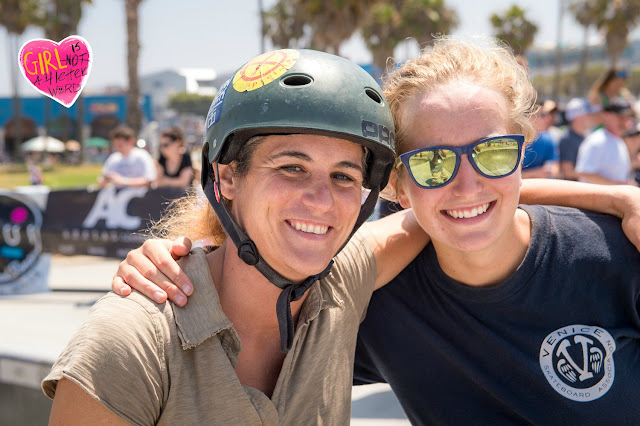 Julie Westfall, Pauline Branom, Cheryl, Meredith, Nicole Noller, Almudena, Tisa Chan, Ocea Lei Iverson, Haven Herzog, Mary, Courtney, Hailey Villa, and more, came out to represent. Every girl out there skated their heart out and put on a great show for the crowd. 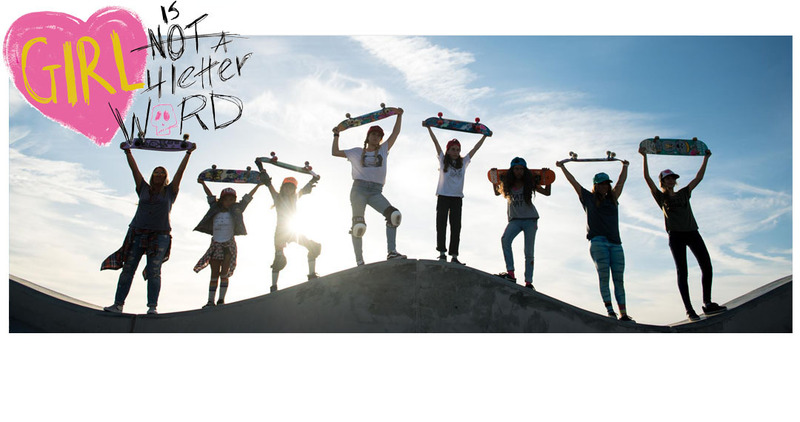 If you'd like to see video of the event it will be on our Periscope Channel (@girlisnota4LW) for the next 24 hours so jump on over and watch it! 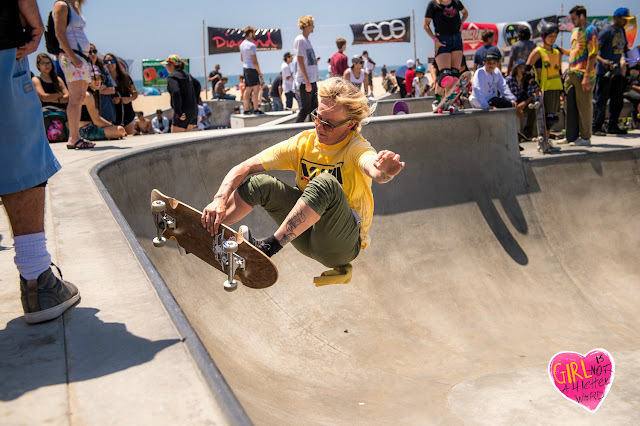 Huge thanks to Rollin' West Productions, Lauren, Wiley, Heidi, Lance, and all the volunteers, vendors, and sponsors of this event for making Go Skateboarding Day such a great one!